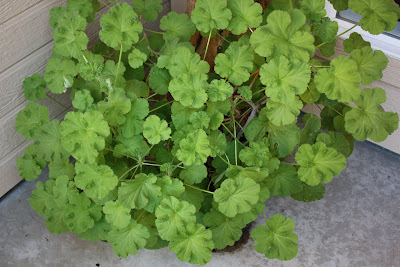 This is a "snowflake" scented geranium that has never bloomed for me. I've had it for three years, I think. My friend Faith picked it up at an herb nursery that was going out of business. I overwinter it indoors where it gets leggy and strange-looking, then it fills in nicely during its summer outside.